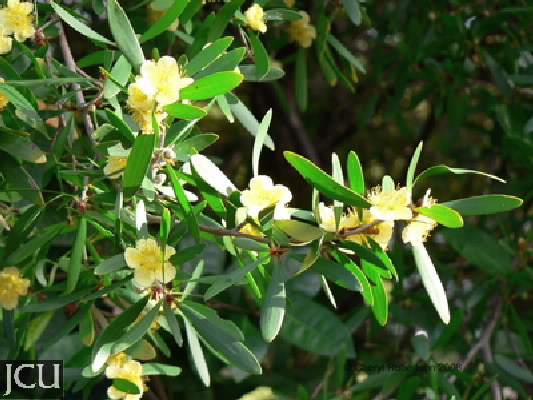 This shrub or it may form a small tree comes from Cape York Peninsula. The oblanceolate to obovate leaves are up to 5.5 x 1.3 cm. Flowers to 2.5 cm diameter, are solitary in the upper axils, petals 5, yellow. Capsules to about 1 cm diameter, have 8-12 cells.